I was having a sport hernia repair in four days, so the timing of the race was important. 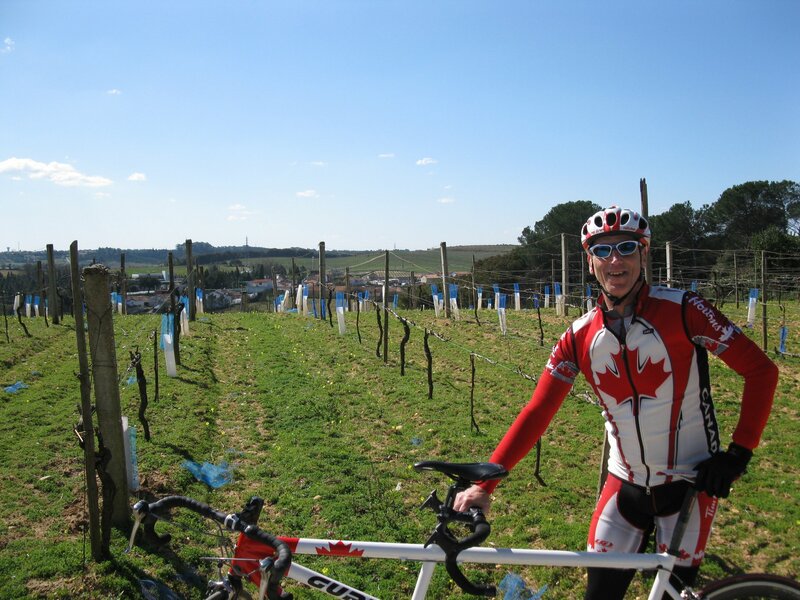 I was thinking it was going to be in early spring and I would have ample time to recover and train for the event. Turns out it is February 2nd & 3rd. This could be a bit of a problem, only 8 weeks after surgery. After a minimum of four weeks recovery it would give me only four weeks to prepare. I wasn’t sure but I really wanted to go so I said “Let’s go for it”. Now to find out the details. Turns out it is not a road race but a two day mountain bike race and we are going to do it on a borrowed full suspension mountain bike. Okay, I am still in. We had a few issues putting this together and there were a few times I thought it wasn’t going to happen but thanks to the “never take no for an answer” attitude of 3 stubborn people (Jan, Eric and myself), we finally put it together and things were set. 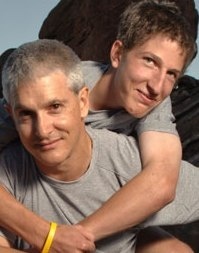 The American Pilot, Eric Miller and his son. As time passed I learned more about the event Eric had planned and I became much more excited about it. Turns out Eric and the Rush-Miller Foundation were going to donate a tandem to St. Vincent’s School in Haiti. St. Vincent’s is a school for kids with a disability from aged 5 to 18 years of age. So now this was going to be more than an insane mountain bike race on a tandem but a chance to make a difference in lives of some less fortunate kids. If you remember Haiti was devastated by an earthquake in January 2010. The bike race took a backseat and now it was all about the kids. It also has a number of health issues as I soon found out. I felt a bit like a pin cushion after all the inoculations that were required for cholera, typhoid, yellow fever, tetanus and probably a few more I can’t remember. There is also the threat of rabies from the dogs, cats, monkeys, chickens, pigs and whatever else can bite you. Malaria is also a real danger from mosquito bites. The race doesn’t sound so bad now. I began focusing on the kids at St. Vincent’s and we have put together some adaptive sports equipment together to take down to Haiti for them. This is going to be the perfect example of “it is better to give than to receive”. I am going to get so much out of giving this equipment to those kids. I almost feel a little selfish because I think I am going to get more out of this than are they. 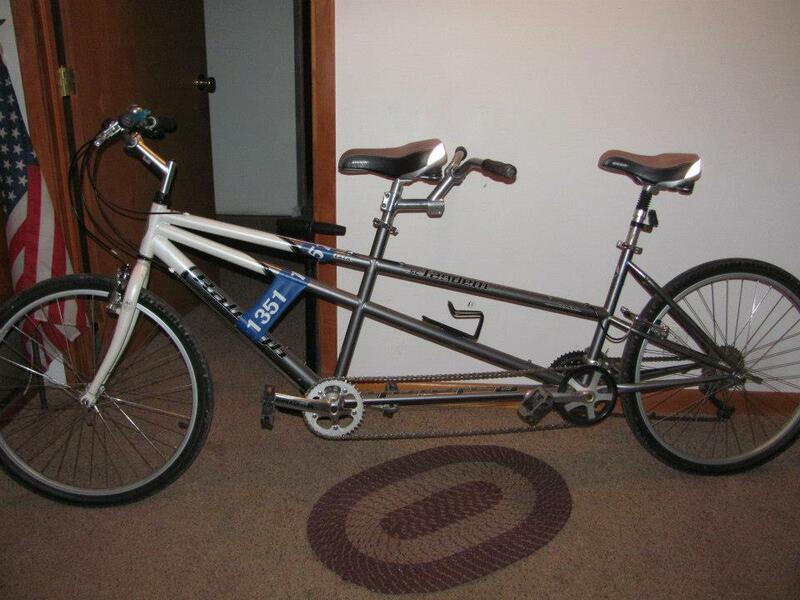 The tandem that is being donated to St. Vincent’s School. The race (www.mtbayiti.org), as I said is a 2 day stage race. The first day is basically uphill, with 10,000 feet of climbing the first day, topping out at about 7,000 feet. The second day is basically downhill to sea level. Each day is about 35 miles (56 km). As Eric and I discussed, nobody remembers and talks about the easy rides. The way I look at it is going to be one day of PAIN for a lifetime of memories. Not only about the race but about the smiles we hopefully put on the faces of the children from St. Vincent’s School. This entry was posted in Sports and tagged Haiti, hope, mountain bike, paratriathlon, race, Rush-Miller Foundation, tandem, visually impaired. Bookmark the permalink.